At just 10.4 oz. 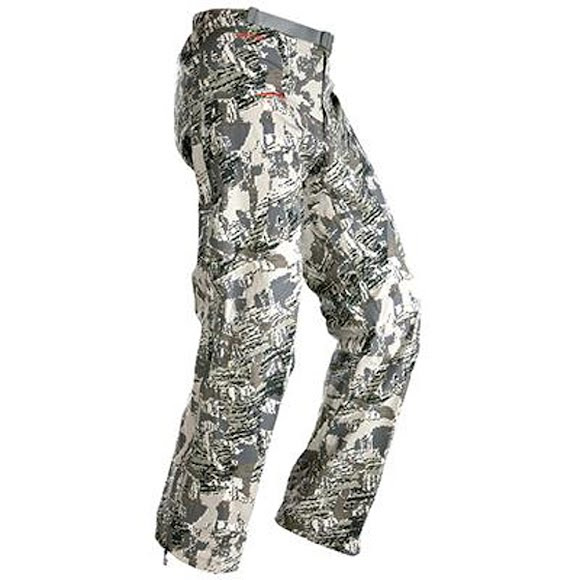 in a Medium, the Dewpoint Pant is Sitka Gear's lightest and most packable rain pant. It is built uncompromisingly for ounce-counting backcountry hunters who rely on their rain gear in dicey situations far from any road. We worked with the scientists at W.L. At just 10.4 oz. in a Medium, the Dewpoint Pant is Sitka Gear&apos;s lightest and most packable rain pant. It is built uncompromisingly for ounce-counting backcountry hunters who rely on their rain gear in dicey situations far from any road. We worked with the scientists at W.L. Gore to invent a new three-layer, extremely light GORE-TEX® Fabric with one of the highest abrasion resistance ratings in our rain gear line. The innovative face fabric, a 20 Denier stretch woven nylon mini ripstop, bestows a stretchability that was previously impossible in waterproof garments.